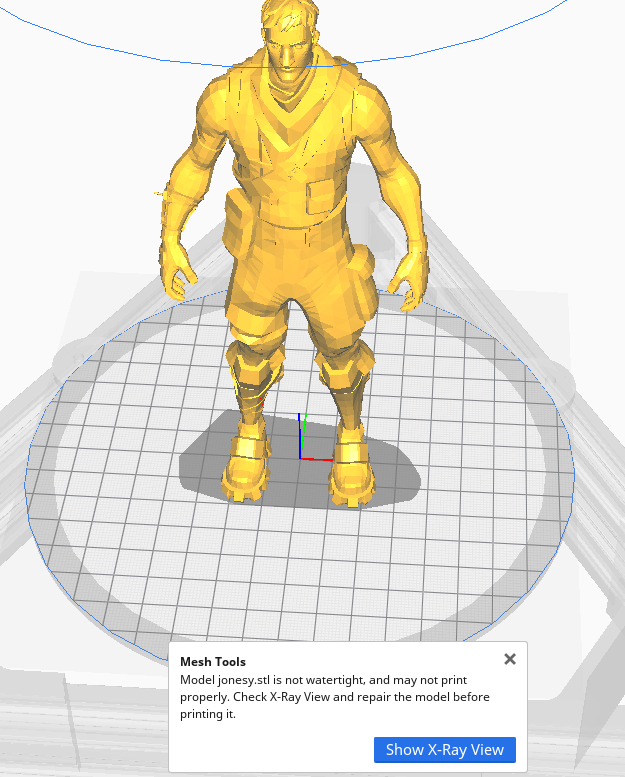 I'm using the official Cura 4.0 trying to print a model (attached). When I try to slice it everything goes fine except the shoulders - they appear hollow without material in them (see attached picture). However if I rescale the model to 50% then the shoulders are fine and well sliced. Thanks a lot for the reply @smartavionics! I checked the X-ray view and found the issue, will report it to the original author of the model! 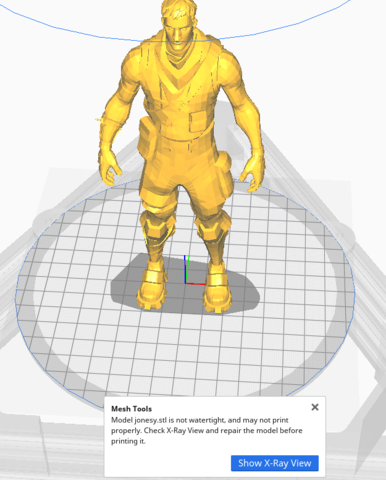 By the way, is this "Mesh Tools" a plugin I can add to Cura, or something I should activate? It looks very useful! Hello @carlosgalvezp, yes, it's a plugin and you can install it from the Cura marketplace dialog.